Redhammer Roof Group’s founder, Eric Lueck, is a perfectionist. He demands that his roofers and office, field and sales staff be perfectionists too. 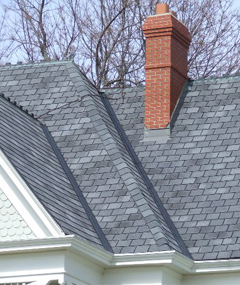 It puts our Kansas City roofing company at a disadvantage with other Missouri and Kansas roofers. Perfection takes skill and time so Redhammer Roof Group can’t match other roofers’ “get it done and move on” mentality. But our focus on perfection gives Redhammer a huge advantage when it comes to our customers’ satisfaction and referrals to their friends and family. Our Promise: If Redhammer Roof Group installs your residential or commercial roof system, we’ll start with a fair, reasonable quote. Certified, professional roofers will be on the job from the start. Your finished roof will be installed using roofing material manufacturers’ roofing techniques and will last and protect your home or business for decades. Contact us for a list of referrals or read a few testimonials. © 2013 Redhammer Roof Group. All rights reserved.